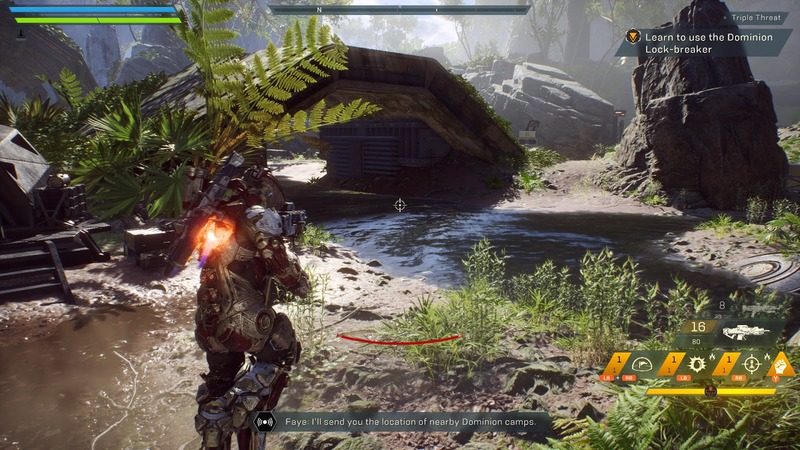 Well EA and Bioware sure made it tough to enjoy Anthem on their first Demo weekend – labelled as a VIP demo. 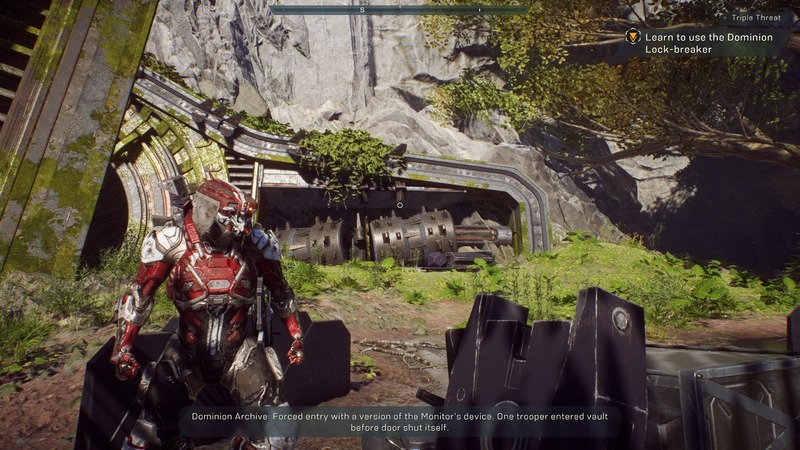 But despite the ridiculous technical issues and loading bugs I put a few hours into Anthem and I have concerns, but damn is the game amazing in so many ways. I have to start my thoughts on the game discussing the many, many, many issues that players, myself included, faced just trying to start the game. My first foray into Anthem had me sitting at a screen searching for local services for over 5 hours. Then when I could finally launch the game I kept hitting an infinite loading screen which required a hard shutdown of the client from the task manager. Eventually I could play and had a great time which I will discuss shortly, but each time I relaunched an expedition I would get the infinite load and then had to restart. The second day of the Beta I was able to launch smoothly but had ridiculous lag and rubber banding that was not there on Day 1. Finally on the third day rubber banding was gone, but Infinite loads were rampant. These types of issues should NEVER happen when the participant numbers are clear, EA and Bioware knew how many users downloaded the demo and should have scaled, planned accordingly. Instead some things were obviously missed and players had a bad first impression and Bioware/EA employees literally had to work all weekend getting the game playable. The second Beta weekend was a much smoother experience, I logged on a few times and was able to get in and play right away so that is a good sign the launch will progress smoothly. I did not have to hard quit the game on the second Beta weekend and I probably did it 30+ times the first one. 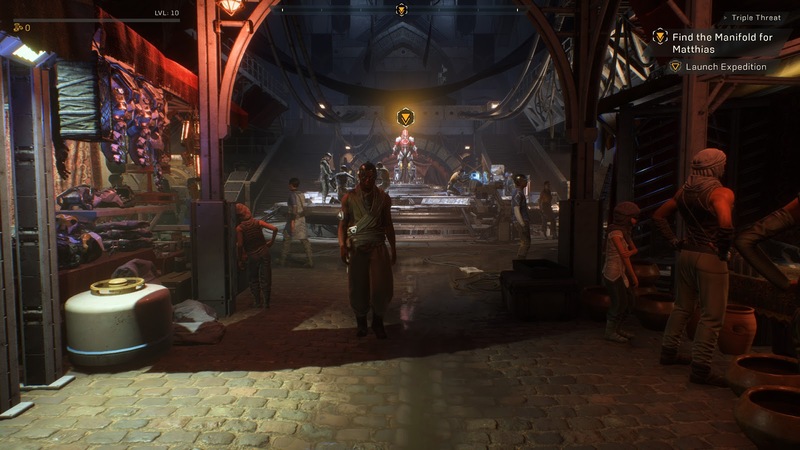 Now that the issues were addressed I have to say how epically cool Anthem handles and looks once I was finally able to play. The Javelins are such fun ‘characters’ to play in this game. They handle like a dream, fly with crazy finesses and satisfaction and are packed with enough armaments to make Tony Stark envious. I want to focus on flying for a moment as it was by far the coolest and most useful ability of the Javelins once I leveraged it more often. At first I just use the flight jets to get from point A and B then I started using them as a battle tactic and my mind was blown. Some fights even in this demo can get incredibly hard especially solo and just tank running everywhere is basically a death sentence. 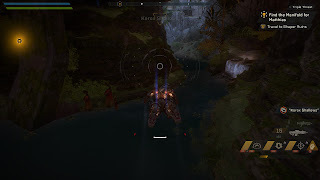 Once I started hopping into the air, strafe running, hovering and taking a quick retreat when in danger I realized the advantages my Javelin gives me. The flight mechanic is really what separates this game from its nearest competitor – Destiny 2. In Destiny I hated going places as I had to engage enemies all the time and it takes forever, flying in Anthem is so deliriously good it is frankly a joy to travel in this game. Once the other Javelins are unlocked – which all VIP Demo players got as an apology for the first demo weekend fiasco it was really cool to see how they all handle differently. My personal favorite is the Storm variant, it travels in such a viscerally cool way I literally flew around for 20 minutes doing nothing else. The rest of the gameplay revolves around mostly shooting things and investigating marked objects. The shooting things part of the game is executed brilliantly with two standard weapons, grenade variant, a short reload special power, longer reload typically AoE ability, a shield type ability and a super ability that takes a while to charge. With all of these options combat can be quite exciting and varied. Elemental attacks can freeze, harm or diminish the enemies while I whittle them away with blasts and physical attacks. The ability to hover and fly around at whim makes combat varied and satisfying once understanding of all the tactics are in play. The various Javelin types follow certain archetypes, the Colossus is the tank, Ranger is – well – the ranger, Interceptor is the speedy fast hitting sort and the Storm is the mage type. Each Javelin has its strengths and weaknesses and it is nice to be able to pick one that adapts to my playstyles. Your level is what corresponds to gear that is equipable and each Javelin is a tool you use so as you level all of them do. Loot I found are sometimes universal or Javelin type specific but shared across your roster. Once Javelins are unlocked they can be switched at the forge anytime. 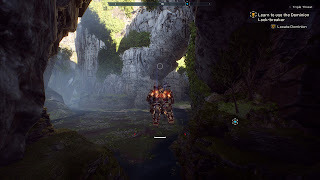 This flexibility as well as the deep customization of the Javelins and their weapons are what excites me most about Anthem. The story, as much as I saw in the demo, is what excites me the least so far and that is surprising as this is a Bioware game. I hope it is because we were dropped in the middle of the story, or they are shielding plot points/narrative from us but I found the characters boring and unsympathetic so far. Nothing in the game made me care about doing the missions, I did them because gameplay is so damn fun. I am hoping the story has much more to it than the little snippets I saw, and that they add some fast travel to the game as well. 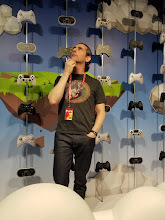 I walked, incredibly slowly, through the game hub so many times I am already bored of it and that is not a good thing. So in the end I am cautiously optimistic about Anthem, the gameplay is simply fantastic and the world is amazing in so many ways but I need Bioware to hopefully make me actually care about it. 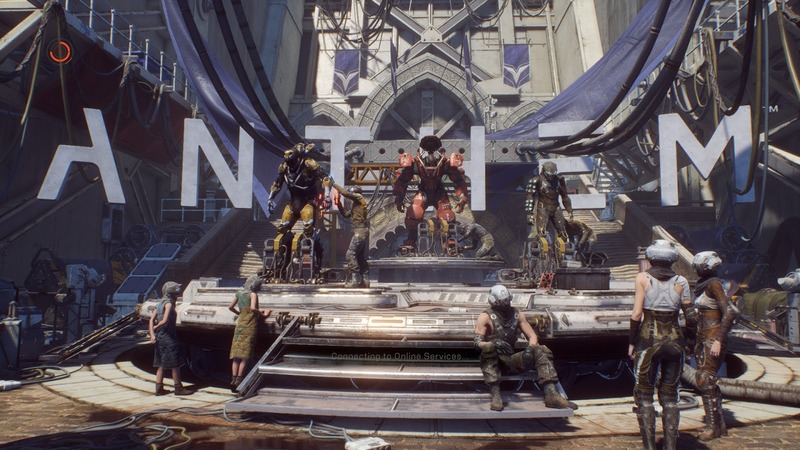 If they can do that then Anthem could be a phenomenal game as long as the technical issues are truly gone. 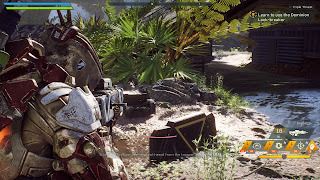 Anthem Launches Feb 22, 2019 on PC, PS4 and Xbox One.